IMG_9623, originally uploaded by ultraclay!. I may have to take back one or two of the terrible things I’ve said about Amtrak in the past. I took the Acela down here last night and I was amazed at how fast it got to Philadelphia. 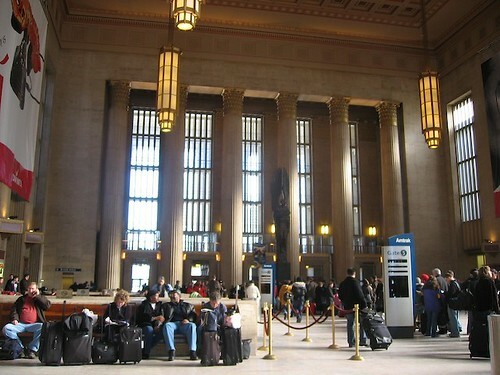 It was just about an hour from Penn Station to 30th Street Station in Philly. Crazy. Now if only they’d knock the price down so it didn’t cost $122 each way.